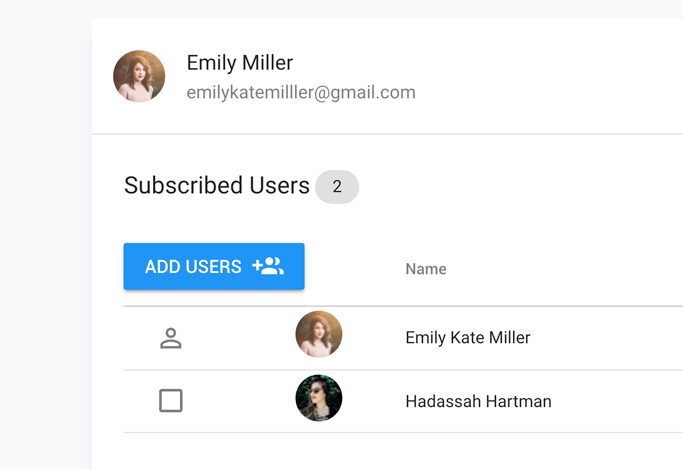 How to add users to my subscription? Gmelius is designed for teams to collaborate. 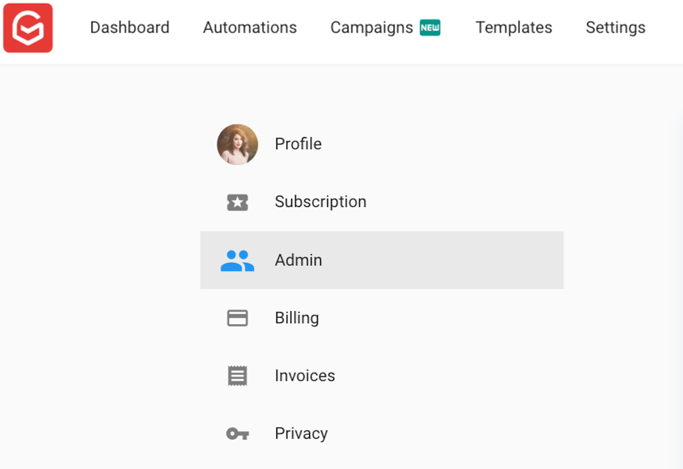 You can add and manage users from your Gmelius dashboard. 1. 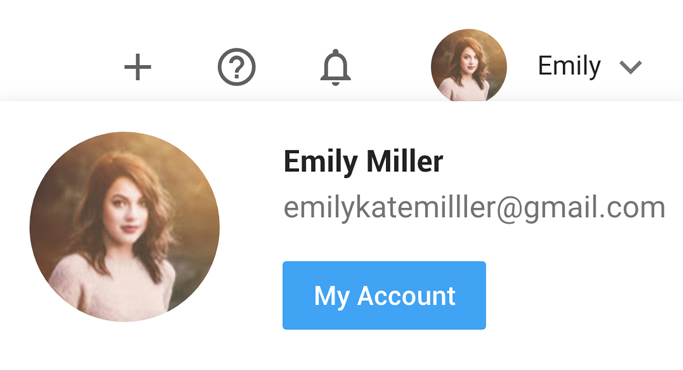 Go to "My Account", "Admin"
From the administrator's account, access your Gmelius account page and go to the admin section of your dashboard. Then click on the "Add Users" button. 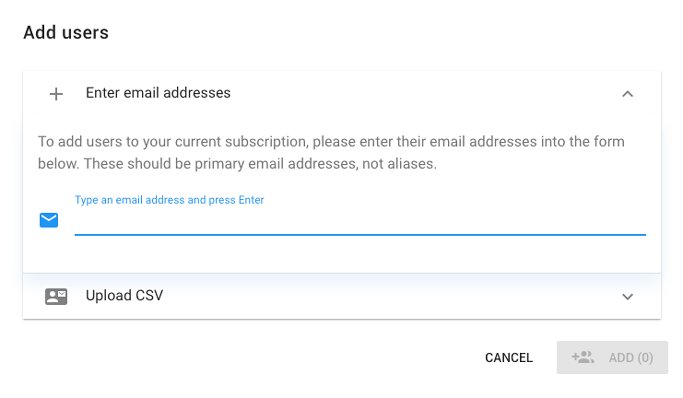 Enter the email addresses of each user you want to add to your subscription. These should be primary email addresses, not aliases. 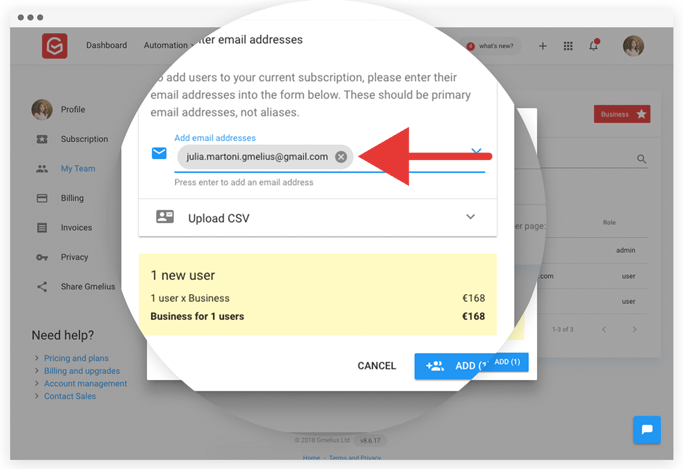 You can add more than one user by adding a comma between each email address or by uploading a CSV file (e.g., an export of contacts via Google Contacts). Once new users have been added, they will be instantly upgraded and the credit card on file will automatically be charged. Nota bene: The Sales plan allows only up to 2 users in the same subscription. How to automatically install Gmelius across my G Suite network? How to get an invoice with my company details? How to update my billing details?